MEMBERS: Solo project of J.Bergman with various musicians. Live musicians during 2014 through 2018 are Anders Sevebo (bass), Mattias Johansson (guitar), Nicolas Podolski (drums). 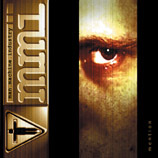 RELEASES: "Mention" (CD 2001). 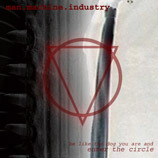 "Be Like The Dog You Are And Enter The Circle" (EP CD 2004). "The Devils Blues…to hell and back" (digital free download EP 2005). 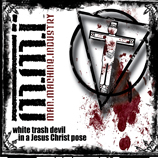 "White Trash Devil In a Jesus Christ Pose" (CD 2010). "Lean Back, Relax, And Watch The World Burn" (CD 2012). 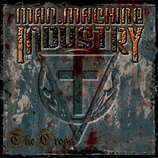 "The Cross" (CD EP 2014). 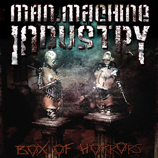 "Box Of Horrors" (CD 2016). "Reborn" (CD 2018). HIGHLIGHTS: Two videos in the PS3 / X-Box 360 game "The Darkness". 1st position at My Space (Swedish chart) for a week and top 50 for a month. "Lean Back And Watch The World Burn" was critically aclaimed and landed on multiple listings of top ten charts around the world. 15 tour dates over Sweden with Raubtier and 16 tour dates over Europe with PRONG (USA). Performed at Sweden Rock Festival, Sabaton Open Air, Findustrial Festival, Rock At Sea, Gefle Metal Festival, Rockbitch Bat and other festivals. After their successful tour through Sweden in 2014 together with RAUBTIER, J.B locked himself in the studio to write and record the album “BOX OF HORRORS” (2016). This album was to be the ignition to a newer, more melodic and heavier sound for MMI. The industrial sound of the band took a step back and as a producer/songwriter/vocalist JB reached “the next level”. When BOH was released in 2016 people was taken a bit by surprise on how heavy the band had become and that they still developed their sound beyond their own limitations and fantasy. The tour ended on a high note at Gefle Metal Festival followed by a few moths break due to J.B´s commitment to another band called REIGNSAW, for which he also wrote a conceptual book and produced their album. 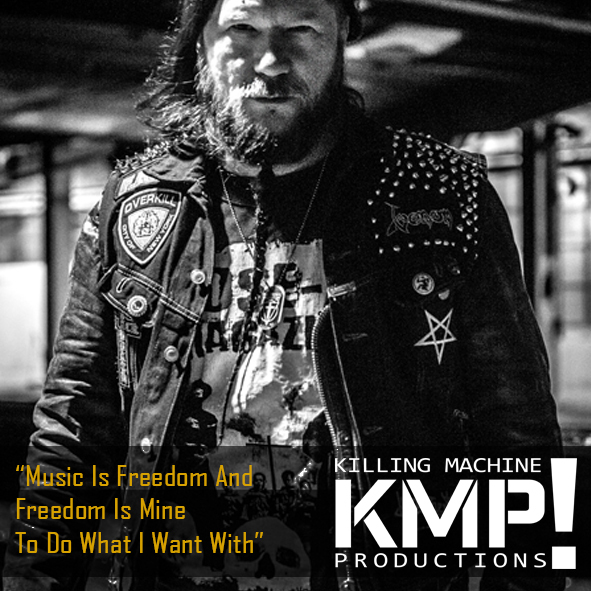 Reignsaw´s album was released on GMR Music (Ice Age, Crucified Barbara, Tyranex) which lead to a new record deal for J.B and his MAN MACHINE INDUSTRY committing to release MMI´s next two albums starting with their new album “REBORN” (out August 3:rd 2018). "Bergman screams with an intensity that would scare even Lemmy himself. You rarely hear metal more powerful and genuinely mean"
"They grab the attention of the audience, like it's the most natural thing, and when the tempo is increased in each song towards the end, we can't really ask for more when it comes to high octane hellish metal"
"It had been an express elevator ride upwords from there on out. A ride that left me with a big smile on my face"
"definite energy and power that lifts the show to really high altitudes"
"They never lack energy on stage and the songs that were performed were by far the evening's biggest musical asset for me"
"the sharp beat and the determination in the gang vocals shouting “THE CROSS!” will make their way through your ears"
"full of punkish attitude and aggression complete with fist-pupming beatdown towards the end "
"From start to finish , the whole EP is exciting and never boring "
"Range from thrash to inndustrial. 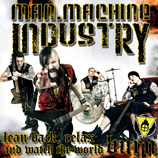 The best MMI album to date"
"They give you a breather here and there, but then pull you right back in for some more thrashing"
"It´s industrial metal at its best"
"the leading Swedish industrial metal band. meeting between thrash, punk and pure metal"
"The band is as reliable as Motorhead and AC/DC. The tattooed quartet has what it takes to mangle and mash"
musical talents. 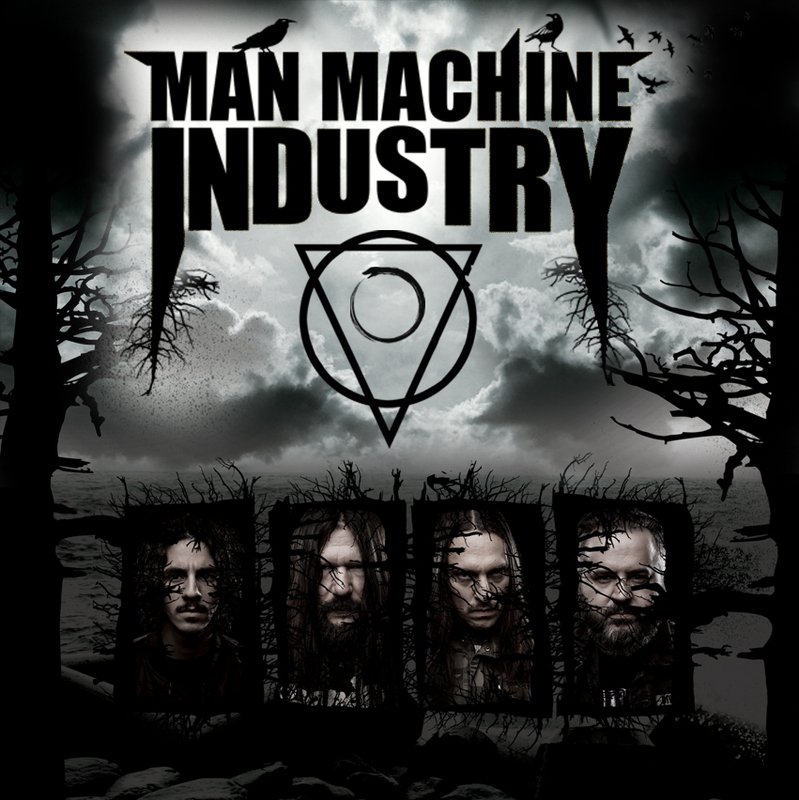 MAN.MACHINE.INDUSTRY is one of them"
"this band has delivered the strongest album of the year"
"Industrial metal at its best"
"There isn't a single part of the album that feels old or contrived, regardless if you listen to it for the first time or the hundredth"
"extra highlighted by the unique sound of Man.Machine.Industry"
"The album is very good. A post-punk wind breathes over the album"
the industrial scene could very well enrich"
Check out their beautiful industrial sound"
very few who actually are unique in their music"
"as strong as industrial metal can be in 2010"
"MMI sound very much their own"
"I honestly can't see any industrial metal fan not liking this"
"should appeal to most people that favor metal of a more modern cut"
"There are no bad songs here"
"Never leting you go untill the song is over"
"it gives each song a unique feeling"